Learn more about how to add background images with text overlay to your emails built with Listrak Composer. 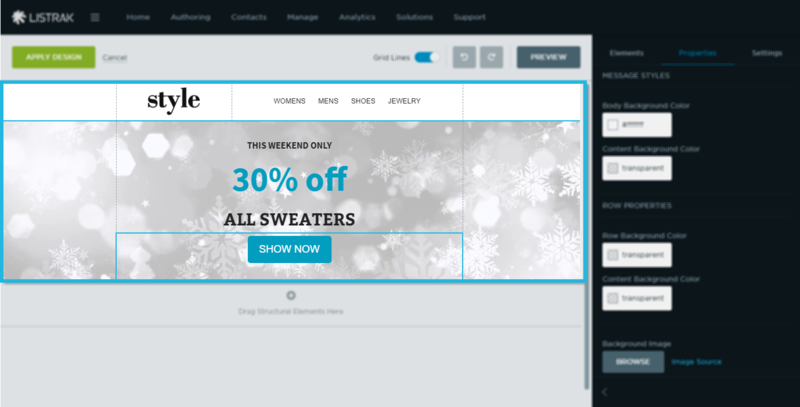 Adding a background image to your email is a unique way to enhance the overall content of an email by setting a tone and showcasing a brand. You can add a full width image or fit the image to the message body. 1. Navigate to an email built with Listrak Composer, or Create a New Message. 2. Click the Row of a component. 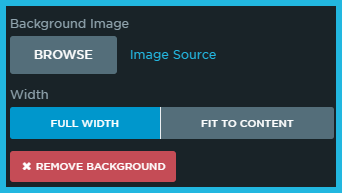 On the right-hand side of the palette, there's an option to add a Background Image. 3. Click Browse or enter an Image Source. 4. Select an image from the Media Library or enter an Image Source. Control the width of the image. Adjust any of the row and body properties. Please note that background images are not compatible with all email programs. When an image isn't supported, the background color is used as a backup. 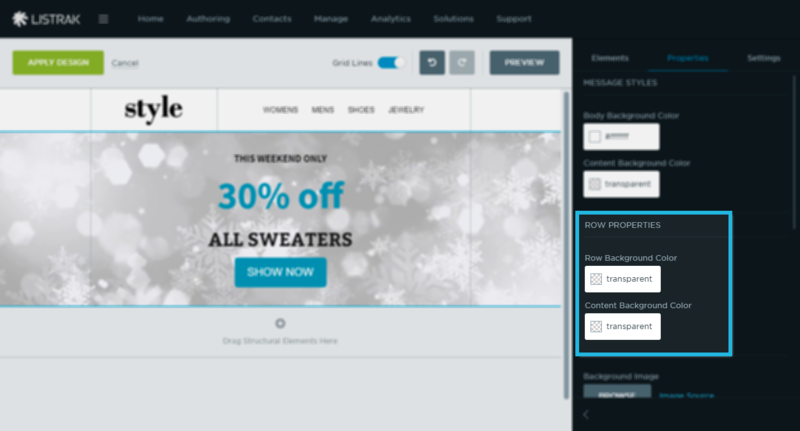 After a background image has been added, drag and drop different content elements to build your email. All of the properties remain for these elements. In the example, we've added three different text components followed by a button. The only limit is your creativity - play around and see what you can create with this new feature. Happy designing! Full-width images display best at a minimum width of 1440px. Fit-to-content images should be 600px wide. Image resolution should be 72 dpi with a low or medium quality for reduced file size and optimal download speed. If an image is too small to fill the width/height of a container or has an image resolution greater than 72 dpi, the image will tile/repeat in some inboxes, such as Outlook. Other inboxes may render the image at its natural file size instead of scaling to fit. Refer to the image specs above. Don't include text or other essential elements in background images. Always apply a row or content background color as a fallback.